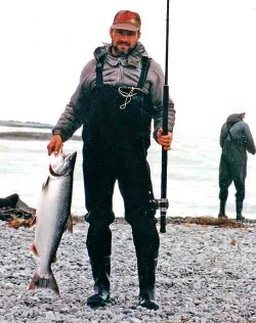 South Canterbury Branch of the New Zealand Salmon Anglers Association Inc.
welcomes new members. You can find our downloadable application form below. The cost to join is $20. Please fill out our application form and return to our secretary with funds enclosed. SC Salmon Anglers Assn. Inc.
assisting the by-catch verifier programme. lobbying for the protection of spawning areas. assisting the McKinnons Creek hatchery programme.